Do you sometimes feel like the Universe is trying to tell you something? I felt like that this morning. I was reading a blog post by Slummy Single Mummy, which featured a picture of a rainbow cake. Minutes earlier I had seen a picture of a rainbow cake on facebook. A rainbow cake, for the uninformed, is a cake where copious amounts of food colouring make the inside stripy like a rainbow. There’s a red layer, then an orange layer and….you get the idea. I got the idea too. The Universe was telling me to eat rainbow cake! Meanwhile, the diary that controls Nathan’s blog was telling me to go and buy TimTams. I had a plan – we would go to the Australian shop in Covent Garden to buy TimTams and on the way we would find rainbow cake. A quick google suggested that BB Bakery might be able to help us with our quest. Dontcha just love London sometimes?! At the bus stop, I was starting to regret this plan. Spontaneity is all well and good but not when you’re leaving the house at 10:30 and nursery starts at 12:45. Not when Roo has insisted on going in his buggy instead of the way more portable scooter. Not when the buses going into town all seem full. Dontcha just hate London sometimes?! We got on a fairly crowded 159 and observed some very bad bus etiquette. Not only did the lady with a buggy in the buggy spot not move over (instead pulling hers out so I had to manoeuvre ours in past the pole) but she also then sat on the outside of the two seats, leaving me standing in the aisle with Eva. I don’t mind standing if all the other seats are taken by the elderly and/or infirm…I just don’t like getting in everyone’s way. And with our sticking-out buggy and sticking-out baby, it’s safe to say I was in the way. Especially when the person on crutches wanted to get off at the hospital, along with all the people from upstairs. I was now occupying negative space. Not easy when you are actually two people tied together. I think I should make my bus etiquette guide into a flyer and distribute it at every playgroup in London. It’s not often that I claim to know it all, but this is buses people. I know my shizzle. But happier times were ahead. For the bus journey only last ten minutes and then we’re in the heart of tourist cake-land. We got off at Horse Guards Parade as Big Ben was striking 11 and something buried deep in my brain suggested that something significant might happen around that time. Co-incidentally, a discussion on a baby forum recently had reminded me that I had never been in Horse Guards Parade at the right time before. 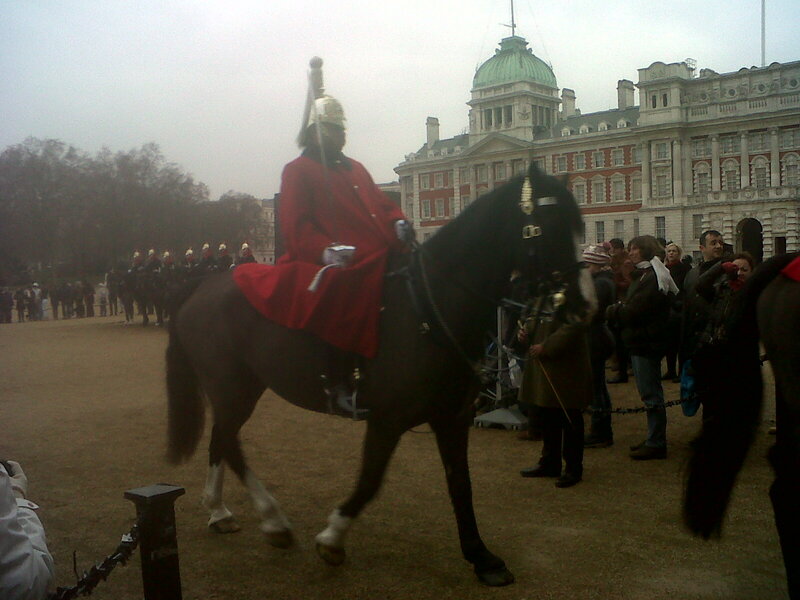 So, it being 11 on the dot we went to watch the soldiers and the horsies perform the Changing of the Guard. Reuben was confused by this turn of events – we were meant to be eating cake but here we were watching horses parade around. He was relatively interested in the soldiers and horses, but was far more interested in the prospect of cake. As for me, I’m glad to have finally ticked this box in my London Experiences and it was certainly impressively regimented, but it wasn’t anything amazing. I too was more interested in cake. So onto the cake. Sadly BB Bakery weren’t making rainbow cake today. Foiled! But it’s hard to be glum when you have amazing blueberry cupcake (see above) and Roo wasn’t bothered anyway. He’d maintained all along that he didn’t want rainbow cake, he wanted pink cake. And they had those. They were pretty good. 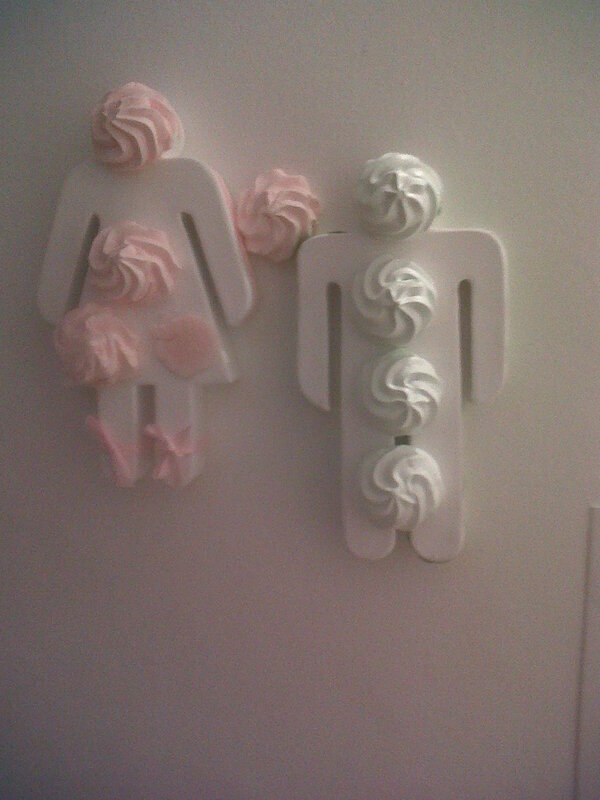 The icing tasted like frozen yoghurt if that’s not too weird an idea. And the base was light and fluffy and beautiful. The apple juice was predictably organic, the bill predictably hefty. But it was lovely. I have high standards for cake this week. 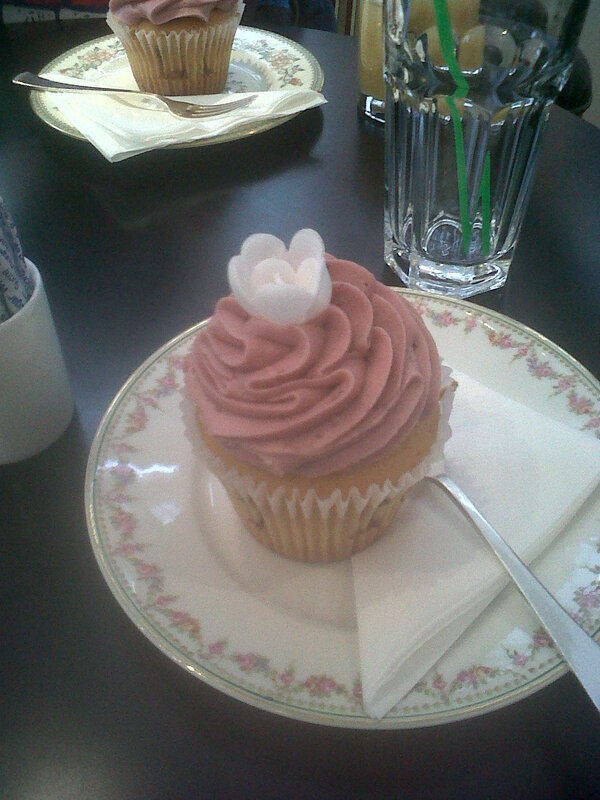 We went to a BritMums Bloggers Meet on Wednesday at the Fleet River Bakery( see above) and they too did amazing cake. Red velvet cupcakes with some kind of cheesecake topping. Beautiful. Reuben even sat still at a table and ate his nicely while playing quietly with toys. 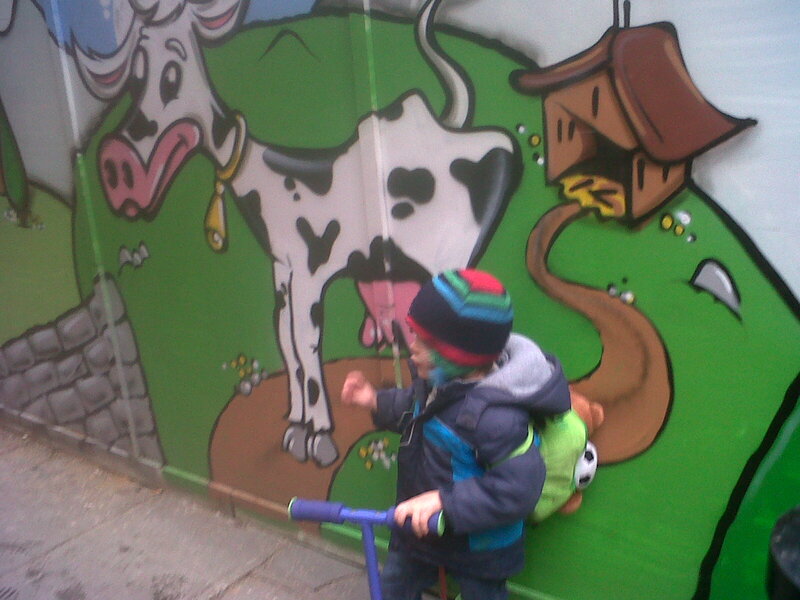 Until the sugar rush kicked in and he raced round with his toy saw pretending to saw strangers’ legs off. Which brings me back to today. For a full half hour or so, while Eva slept in the wrap Reuben sat and ate his cake with a fork, drank his apple juice and we chatted. It was lovely. In some ways, he’s grown up a lot lately. In other ways, he really hasn’t. 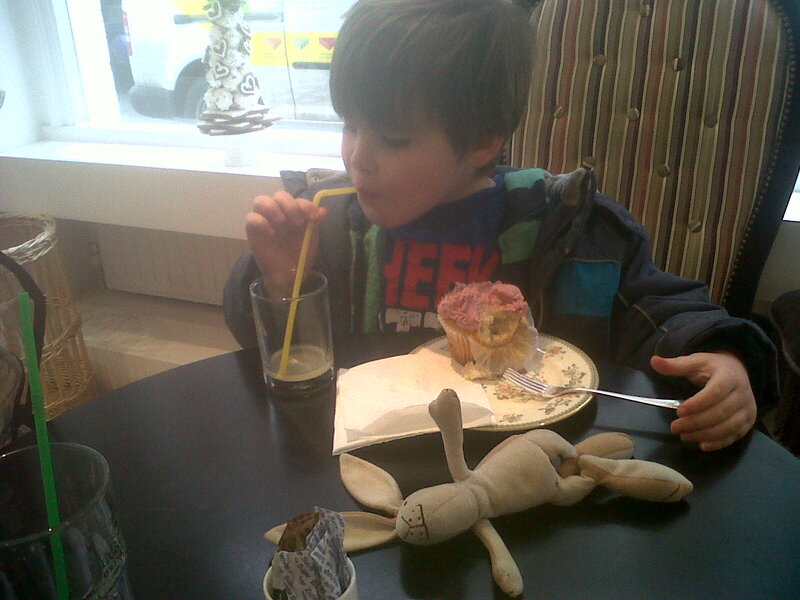 But it was nice to have some Mummy-boy time without his sister, and the really expensive cake was enough to persuade him to sit still for a while. I worried when we went in that it would be one of those places that was Too Nice for us, but he behaved remarkably well. Outside, Covent Garden was gridlocked and filled with police and rage-y drivers. We sat indoors, listening to soothing music and playing I-spy. Very relaxing. Obviously, there were a couple of delicate ornaments by the stairs that he tried to sit on, but that’s just standard 3-year-old stuff. 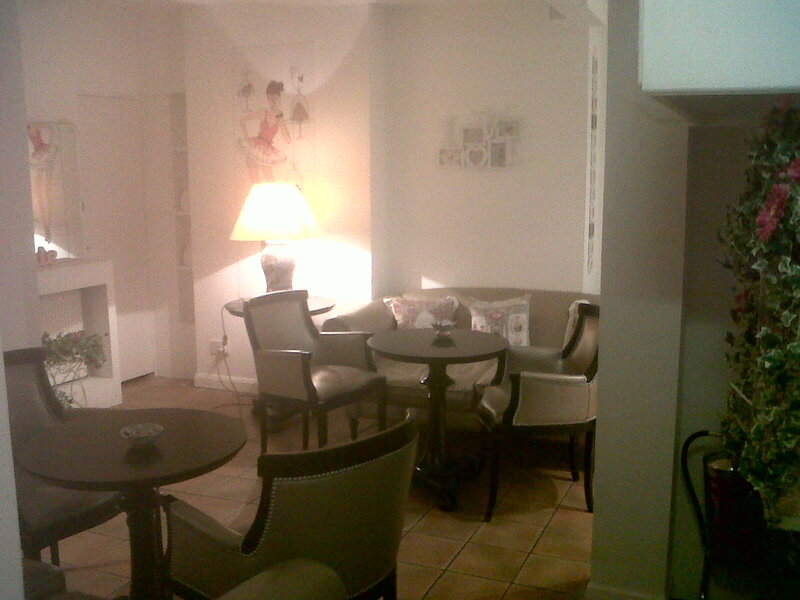 Then we went to the toilets and discovered a whole other room downstairs. Reuben liked this room so much that he wanted to get his potty and pee in there. Luckily we didn’t have his potty, so I was able to persuade him otherwise. The smell may have ruined the ambience somewhat. After that, we went to the Australian shop and bought what must be pure-gold TimTams, then it was time to dash back to nursery stopping only at Tesco to buy my famous “bus picnic”. Lately, Reuben’s been requesting nothing but dry bread for lunch. It could be because he’s been sick a few times recently, but that seems unlikely given the cake-eating a few minutes before. More likely is that he’s just being random and it’s another weird Reuben phase. But as phases go, it’s not a bad one and as picnics go, it’s an economical one. He calls it “boy bread”. 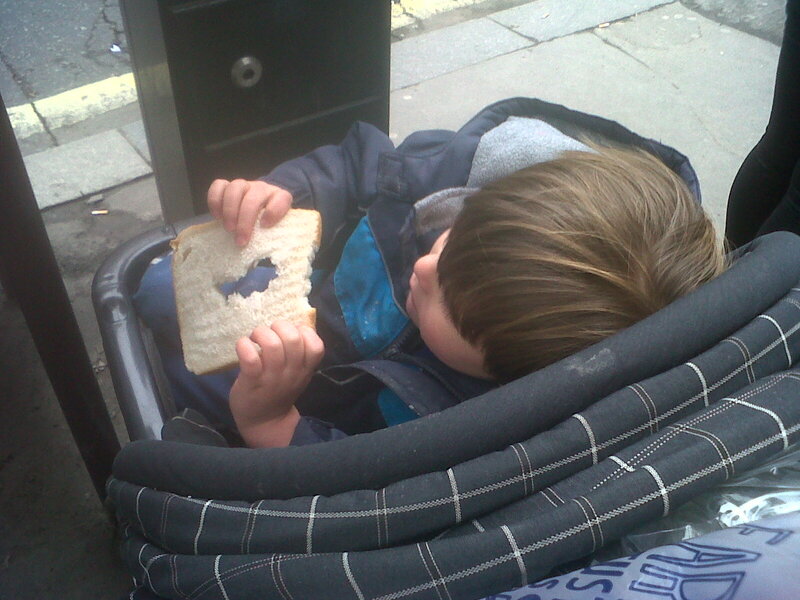 Here he is at the bus stop, enjoying his “boy bread”. Now., where’s that “Mother of the Year” award?! This entry was posted in Cake and the finest wines known to humanity (eating out) and tagged buses, cake, Central London, horses. Bookmark the permalink. Definitely! But just imagine what it would do to your insides…. !